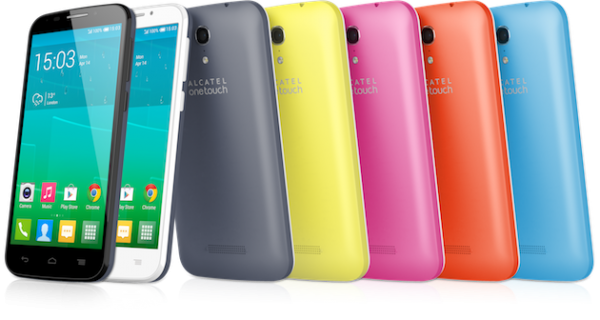 Now that Alcatel is done with its mid-range Idol 2 smartphone and a fitness-centric Pop Fit low-end phone, here are more mid-range Android devices from Alcatel, this time focused at bringing LTE to consumers who are on a budget – Alcatel OneTouch Pop S. Like the Idol 2 S and Idol 2 Mini S we shared earlier this morning, “S” stands for “Speed” and the trio of Pop smartphones (S9, S7 and S3) all comes with Cat 4 LTE on board. First up, the Pop S9 is the biggest of the lot featuring a 6” 720p display. 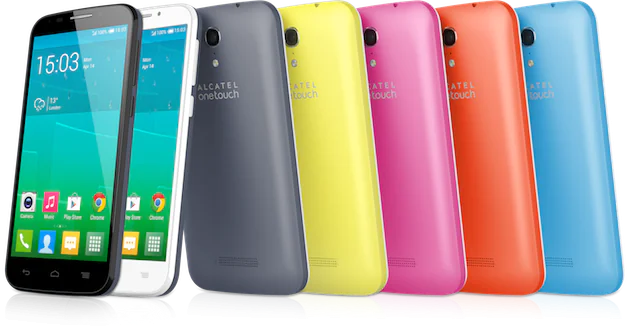 Powered by a 1.2GHz quad-core Snapdragon 400 (8926) processor with 1GB of RAM, has 8MP rear camera, 2MP front camera, 3,400mAh battery, NFC, Bluetooth 4.0, 8GB of expandable internal storage and will run on Android 4.3 out of the box. To be launched in March in Europe and Asia, the device will retail at about USD$300 – an LTE phablet for under RM1,000? That sounds pretty good. Next up, The Pop S7 is 5” display that packs a 1.3GHz quad-core chip from MediaTek with 1GB of RAM under its hood. It has a 5MP rear shooter, VGA front camera, 4GB of internal storage expandable via microSD, 3,000mAh of battery and will run on Android 4.4 KitKat out of he box. Also to be available in Europe and Asia, the device will retail at USD$260. If you are hoping for something a little smaller and of course, cheaper, the Pop S3 is the way to go featuring minimal features and hopefully a much more affordable price. Beneath its 4” WVGA display is a 1.2GHz quad-core processor with 1GB of RAM on board. Other specs include Android 4.3, 4GB of expandable storage, 2,000mAh battery, 5MP/VGA back and front camera, NFC, and Bluetooth 4.0. No news about the pricing, but the device should be headed to the UK some time around May and hopefully make its way into Asia.